Scuba diving at altitudes of over 1000 ft above sea level requires precautions due to the lower atmospheric pressures. there re a number of great dives sites available at these elevated altitudes. However, its is highly recommended that you are well versed in the required adjustments related to decompression limits. In fact it is a great idea to take an altitude-certification class. Once you are properly trained, you can dive some of the world’s most famous altitude diving sites as listed below. Lake Titicaca in Peru/Bolivia: At 12,000 ft, its the world’s highest navigable lake. It is home to around 530 aquatic species. Here you will find temperatures of between 50 and 57 F and visibility of up to 50 ft. Divers have found many ruins and pre-Incan treasures in the lake. Perhaps you will discover submerged pre-Incan treasures youdself. Mountain Lakes in Austria: An alternative to the world-famous Gruner See which was closed to divers in January 2016. The lake has a visibility of up to 70 feet and can be as deep as 318 feet in the summer. In the summer its temperatures can reach yo to 75 F.
Yellowstone National Park in the US: Yellowstone lake, at 7600 feet above sea-level, features underwater geysers and lava-like vertical spires. 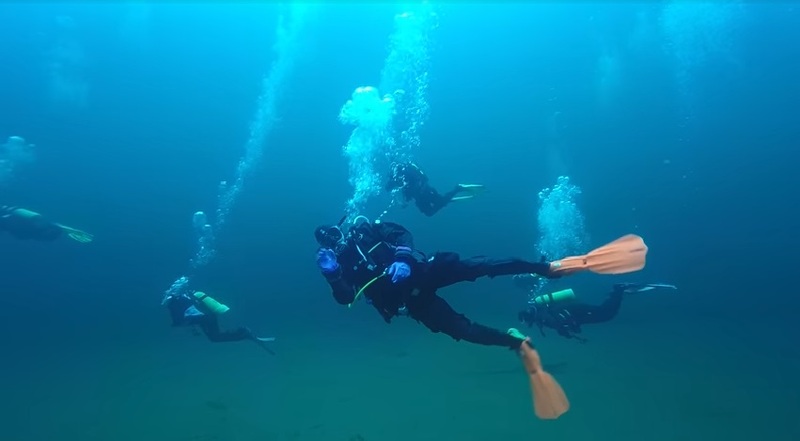 With visibility of up to 30 feet and temperatures of about 50 F and a depth of 390 feet.